It’s all about finding the right niche. Some people are all about classic leather jackets with old school style and plenty of moxy (full disclosure… I am one of those people). Other’s prefer the more technical feel of a robust adventure jacket. To each their own. 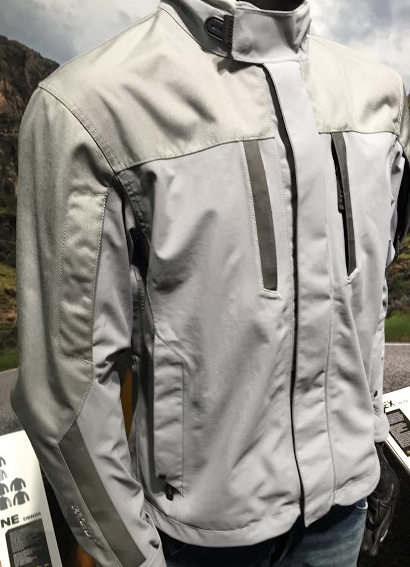 For the rider who is looking for all of the protection and functionality of the best in adventure touring, yet with a more subtle, around town kind of look, the new Klim Blade Jacket has been developed for you. Built to fit in as a slightly heavier option than a mesh jacket, the new Blade is a 2-3 season option that is fully constructed of the Gore-Tex Performance outer shell. This feature is key in keeping riders dry, while still allowing for breathability which drastically improves overall comfort in just about every set of conditions. With less overall bulk, this jacket will be best suited for the commuter and light touring crowd in search of moto-specific protection with a high degree of comfort. As can be expected from a Klim jacket, the Blade also comes with a full compliment of the high-end D30 armor in the shoulders, elbows, and back. It can be tough to find motorcycle gear that combines the appropriate levels of quality materials, overall protection, and sense of purpose. Like Goldielocks, sometimes you just have to find the bowl of porridge that best suits you. For the around town and light commuting crowd, the new Klim Blade may be just right.